Spanish is the second most spoken language in the world today, and the second language of the United States. In this degree program, you’ll gain fluency in Spanish while also developing an appreciation for linguistics, Spanish literature, and Spanish or Latin American civilization and culture. You’ll be prepared to live and work in a world community where Spanish is important for both personal and professional reasons. Many students in the program consider a double or dual major in a field such as business administration, linguistics, social work or international affairs. 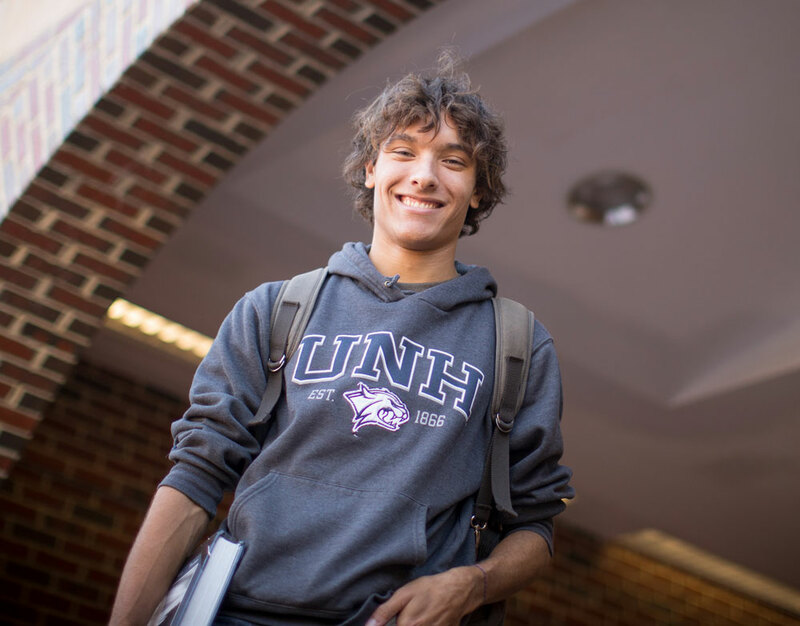 Why study Spanish at UNH? Study abroad opportunities in Granada, Spain, and Costa Rica, are among the many highlights of the Spanish program at UNH. Our Latin American studies minor is another way to enhance your studies. Throughout the academic year, you’ll have opportunities to participate in extracurricular activities that complement your studies. When you major in Spanish you are opening your opportunities to a variety of fields in which proficiency in the Spanish language and knowledge of Hispanic cultures are desirable or required. Such fields might include international relations, business administration, government, social service, and communications. In addition, students can prepare to teach Spanish at the elementary and secondary levels and in bilingual education programs through UNH’s foreign language teacher education program. The undergraduate major also provides a basis for graduate study in preparation for scholarly research and teaching at the college level. When combined with coursework or a dual major in other disciplines, the major prepares students for work in Spanish-speaking areas of the world as well as in bilingual regions of the United States. SPAN 525 Introduction to Spanish Cultures or SPAN 526 Introduction to Latin American Cultures may be used to satisfy one of these electives, but students are strongly encouraged to select courses taught in Spanish to meet their major requirements. Only one course taught in English may be counted toward the Spanish major. An approved foreign study experience in a Spanish-speaking country of a minimum of one semester is required; a full academic year is highly recommended. The Discovery Program capstone requirement may be fulfilled by completing SPAN 797 Topics in Hispanic Literary and Cultural Studies (topic R only) in the fall semester or any 700-level Spanish course in the spring semester. Students completing their Discovery capstone in the spring semester must designate one class as their capstone and present their final work in that class at the Undergraduate Research Conference that semester. Spanish majors may use two major-required courses to satisfy two Discovery category requirements. Spanish placement exams are required so that students may register for the course appropriate to their skills. Go to the Placement Test page and begin your test. Elementary Spanish Intensive Review of Spanish Intermediate Spanish (I) Intermediate Spanish (II) Advanced Spanish Conv./Comp. You must complete both 401 and 402 to satisfy the BA foreign language requirement; does not satisfy some honor society reqmts. Does not count toward major/minor, gen. ed. 5, nor for some honor society reqmts. Does not fulfill the BA foreign lang. requirement Counts toward minor, gen.ed. 5, BA foreign language, & some honor society requirements Counts toward minor, gen.ed. 5, BA foreign language, & some honor society requirements Counts toward major, minor, BA foreign language, & some honor society requirements. No credit will be given for this course if student has previously studied 2 or more years of Spanish Family language heritage, residence in a Spanish-speaking country, or study of another foreign language may be an additional factor in placing into higher Spanish classes. * If you score below 296, consider retaking test &/or speaking with a language advisor. If the years of previous study and the placement test result offer contradictory advice about placement, students may consult a language advisor. However, no student with 4 or more years of previous study should be placed below Spanish 503. Students who qualify for Spanish 504 or 631 based on their placement score and grades in previous study are to be congratulated and are encouraged to consider majoring or minoring in Spanish. **Students with extensive background in Spanish, or an AP test score “5”, &/or placement scores above 500 may be placed into Span 632 (Advanced Conversation and Composition II). Students who score higher than a 550 on the placement exam should consult with a language advisor in order to be placed into a course appropriate to their ability level. Spanish majors are required to spend at least one semester abroad in a Spanish-speaking country. A full year of academic study abroad is highly recommended. The Spanish and Portuguese Program at UNH offers a study abroad option in Granada, Spain, and a summer program in Costa Rica, both managed by program faculty and administered by the College's Center for Study Abroad. To see other Study Abroad Opportunities that are approved by the University, visit UNH Global Education. The dual-degree B.A./M.A. 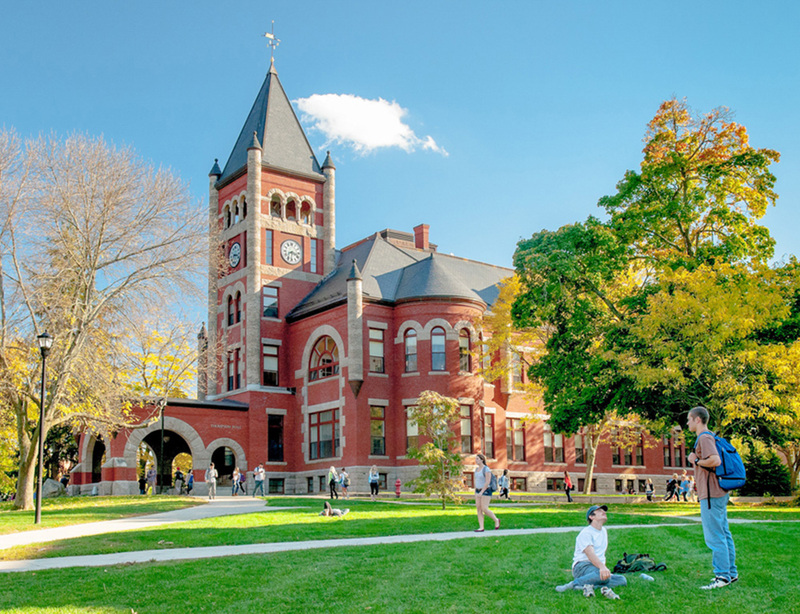 program in Spanish in the Department of Languages, Literatures and Cultures offers high-achieving students the opportunity to earn both an undergraduate and a graduate degree during their time at UNH. Qualified students may be accepted into the program late in the first semester of their junior year and begin to take graduate courses in the spring of their senior year. Students graduate with a B.A. upon completion of 128 credits (including all University, College and Program requirements), and then complete graduate work (30 credits) the following year. After only five years of study, students earn both degrees.